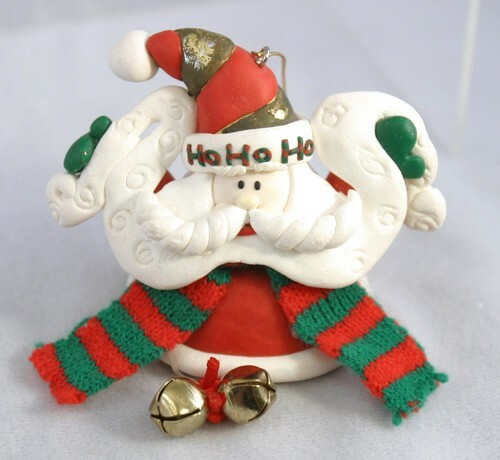 Santa Claus ornament with jingle bells and knit scarf holding long beard. Molded composite and yarn scarf. Made in China. The ornament is about 3 inches high by 2 1/4 inches by 3 1/2 inches. White ceramic coffee mug with Santa peeking out of chimney.